Here here, let me just sprinkle a little bit of love on your pastry there. It will definitely make everything magical and better. No worry, no need to thank me. Don't you worry, you deserve it. You deserve it because I didn't actually sprinkle love onto your dessert, instead I sprinkled it with something a tad more devious--actual sprinkles! Muhahahaaha, The Sprinkled Bandit strikes again. The Sprinkled Bandit strikes quickly and effectively. If he's done his job correctly, you won't even realize you've consumed his tasteless piles of... piles of whatever the heck sprinkles are made from. I'm against the Sprinkle Bandit because he never imparts positive flavors and occasionally leaves a bizarre texture over something as wonderful as desserts. And there's a reason the Sprinkle Bandit plies his trade in the field of desserts. You really can't ever complain about desserts, unless there's some sort of raisin contraption in one. Otherwise, dessert is nothing but gravy--sugar and candy and everything nice. If there's a little bit of bizarre in the form of a sprinkle on the plate, who cares, the rest tastes great. He especially delights in ruining ice cream. Have you ever actually had ice cream with sprinkles on it? Or even worse, one of those cruddy "birthday cake" ones where you're like "All right! Frozen frosting" only to have to wade through a literal pool of frozen shards of pain and agony? I'm certain that situation describes many of us, yet that Sprinkled Bandit keeps striking. That's why I'm making it my goal in life to destroy The Sprinkled Bandit. One of the easiest ways to launch this offensive is by taking down "Silver Dragees." With a name like that, many might think it's some sort of psychoactive drug with mind-bending powers and that's how we'll take it down. You're close, but not there yet. The silver dragee are those little silver balls that hack cake decorators put on cake to bling out the dessert. When I describe sprinkles as inedible, I'm being facetious. But when I call dragees inedible, I'm just referencing the Food and Drug Administration. As anyone who has ever read the packaging for silver drapees knows, they're "intended for decorative purposes only." Oh, and originally, the silver dragees had mercury in it to achieve its the vibrant mind-altering color. That right there is easy to take down. Nobody likes to eat what is literally inedible, and they especially hate getting Hunter-Russell syndrome from a dessert product. From there it's just a domino effect. Bye bye dragees. See ya red frosting. Hundreds and Thousands? More like nones and nones. Chocolate sprinkles? Okay, we can keep those, since their name implies they have a flavor imparted on them. Ta ta non pareils. And then it's time to take down sprinkles. Dragees crumbled because they had no taste other than "lead poisoning." 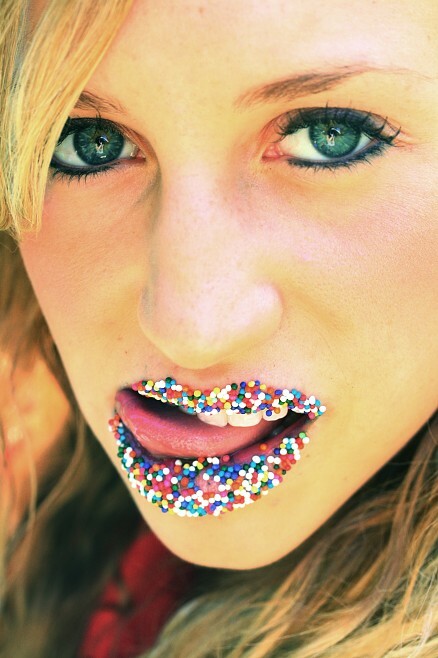 Sprinkles have no taste other than "no taste," so it's a very similar situation. Next time your dessert trifles or ice cream sandwiches or falafel comes out, if there's a sprinkle on it, refuse it. Send it back and demand one without a flavor deadening piece of flavor. 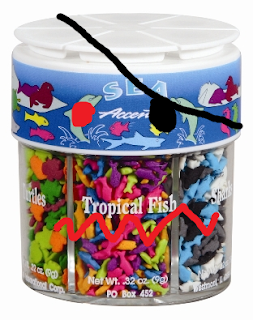 Only then will we develop the groundswell of support necessary to take down that nefarious Sprinkle Bandit.